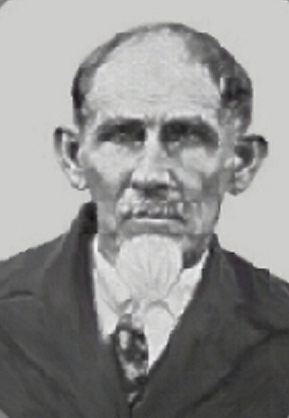 Martin Davis was born on March 12, 1849 in Blountstown, Florida and died on December 29, 1930 in Parker, Florida. He lived to be 81 years old. Martin was a store owner and operator in St Joe, FL. He was known for his cured hams. He had cured so many the hooks the hams hung on had turned yellow. 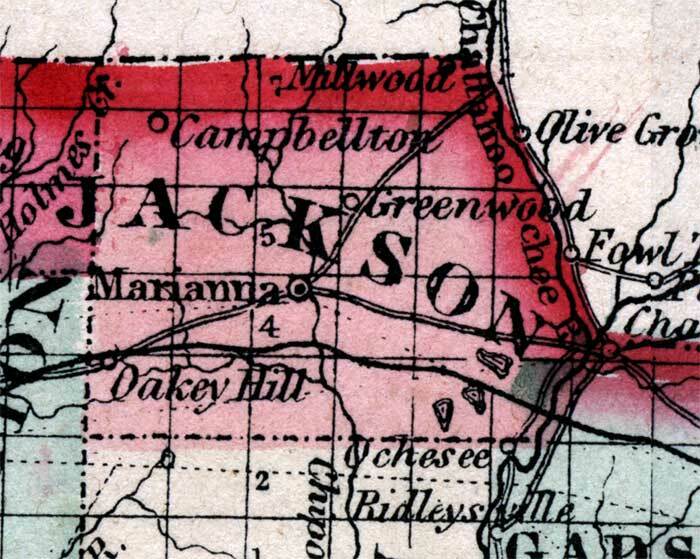 When a Yellow Fever epidemic hit the St. Joe area in the 1880s, he was forced to move when the government put the area under quarantine and fenced it in. Martin managed to escape by walking to the town of Parker. He started another homestead there on a quarter section of land. He was a generous man and often traded his land for services or products. 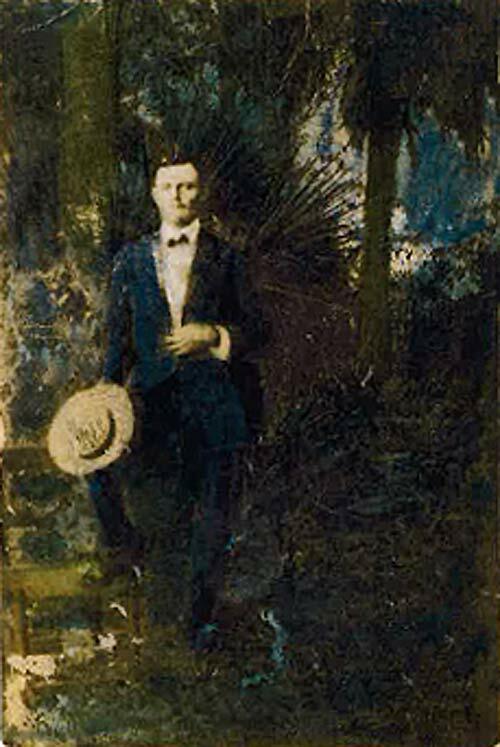 At one time he gave a man by the name of Mr. Martin ninety acres if he would travel to Gainesville for him and if he would improve the ninety acres. He was also known to give an acre or two in trade for a side of meat or a sack of meal. When he was older, he gave each of his grandchildren an acre when they married. Many kin still live on the old homestead around Parker today. family#363 - Martin Davis (age25) Lovie S. Davis (24), Ellis Davis (4), (nephew) Chorce Barber (4), Emma Davis (3)& Marian Davis (4mo.) Martin is a farmer. 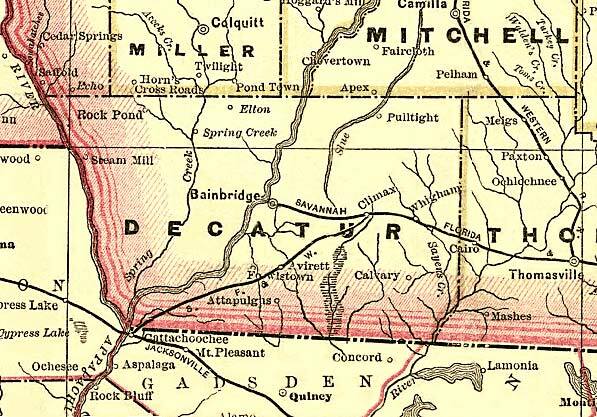 Additional information about Decatur County, GA around 1880: Map of Decatur County, GA created around 1885 -- three years after the 1880 Census. Click here to see a map from this timeperiod. family# 49 - Martin Davis (age63), Lovie Davis (58), Charles Davis (27), Martin Davis (21), James Davis (17)& Delbert Davis (13). Martin & Lovie have been married 8 years and have 7 children. Martin in a house carpenter. Charles works fishing nets, Martin Jr. a clerk at a general store, Delbert is an errand boy for the ? family. All are born in FL, except Lizzie born in GA. Martin's parents were born in FL and Lizzie's in GA.
(near by son) -family#47 Ellis (31), Lydia(23) & Harvey(1 8mo.) all born in FL. Ellis is a laborer - woodman. WWI record for Pvt. Davis (the son of this Martin Davis) reports no injuries and an Honerable Discharge on 7/21/1919 for convenience of Government. He served overseas from November 12, 1918 through July 10, 1919. 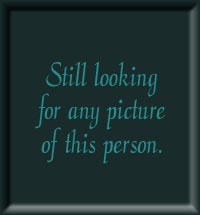 He enlisted at Blountstown, FL on August 21, 1918 when he was about 23 years old. Recorded as family #49: Martin Davis (age 69, Lori S. (wife, age 66) and Delbert F. (son, age 22, born in FL). 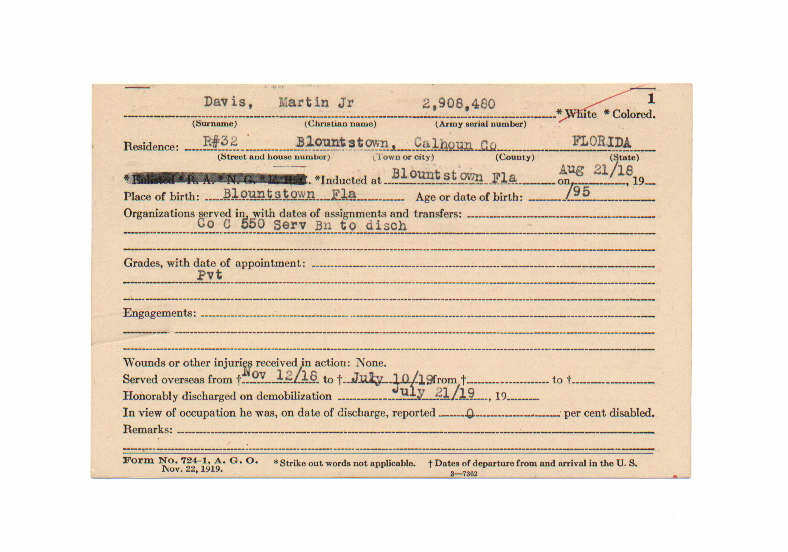 Martin was born in FL, father in MS and mother in FL. Lori was born in GA, parents born in GA. Martin is a Gardener/Truck and Delbert is a salesman working in a ? ?Retail Drug Store. (sons live near) #48 John E. & his family, #51 Charles & his family. family#52 - Martin (age81), Lovie S. (76) & Delbert F. (33). All were born in FL, Martin father was born in MS & mother in FL, Lovie's parents were born in GA. Estate value $1000. Martin was married at age 23 and Lovie age 17. All can read & write. Delbert is a teacher at a public school. # 53 next door is son - John E. and his family. Click on any of the News, Events, or Discoveries buttons above to see historical things that happened during Martin Davis's life. These are only some of the major events that affected the life and times of Martin, his family, and friends. 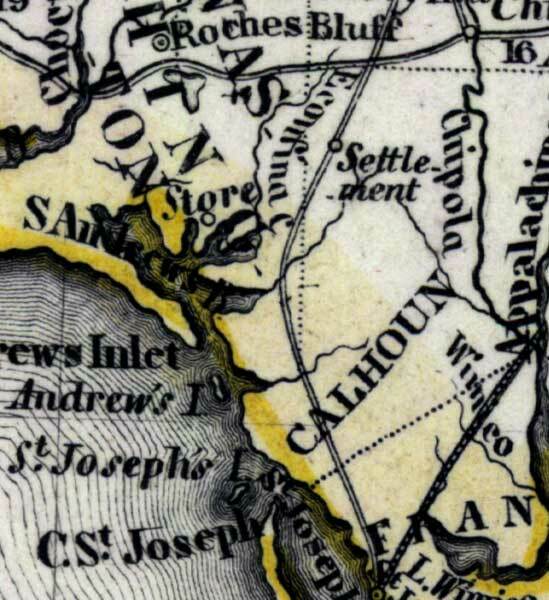 For example, Martin is 6 years old when Third Seminole Indian War begins. It ends three years later when Chief Billy Bowlegs and his band are forced to move from Florida. Born on December 25, 1857 and died on June 25, 1936. 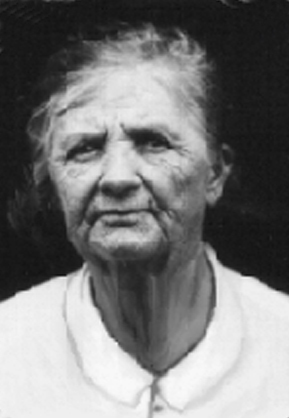 Born in Jackson Co., Florida on October 20, 1883 and died in Panama City, Florida on October 27, 1967. He was 84 years old. Born in Washington County, Florida on September 6, 1886 and died somewhere in Florida on November 3, 1956. He was 70 years old. Born somewhere in Florida about 1896 and died somewhere in Florida about 1990. He was about 94 years old.